Welcome to the July digital release blog hop!!!! Here is my card I made for the digi hop, schools out and graduation is upon us. So I thought that using this super cute image would be very fitting for this time of year. Happy Graduation for anyone out there graduating. This image can be found on the Whimsy store by designer Marrika Collins and this is called Grad Girl. 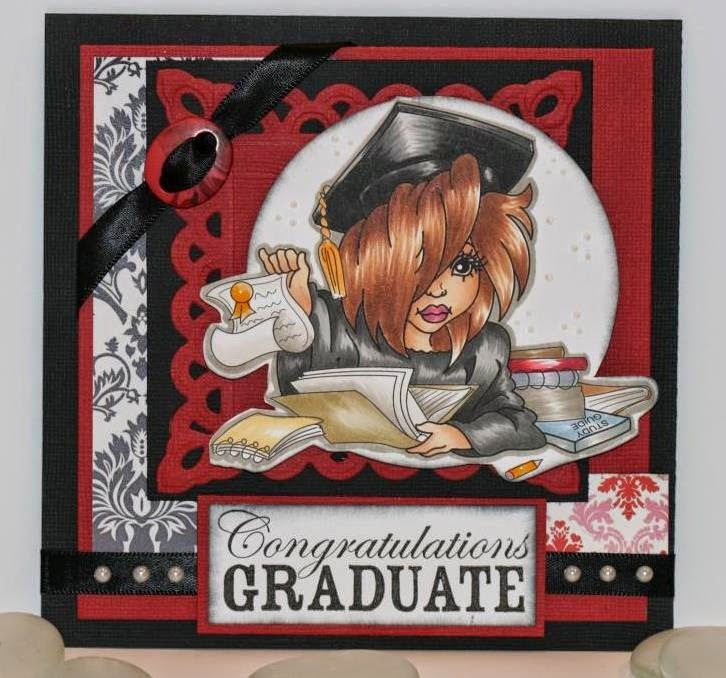 I loved working with this stamp it has lots of details in the image all the books and the cap and gown. She has also created a grad boy digital stamp. A bit closer look at the image. Thank you for stopping by and checking out my creation. this is such a lovely graduation card! great way to highlight the wonderful image with the way you've cut it and matted the neat die behind. Awesome Grad card love the bold colours, beautifully done. Awesome coloring Charlene, just love this card. What a creation! Fantastic card. I love your amazing colouring of grad girl. So very pretty, and the color is so rich, very nice image and nice sentiment too...great job on her hair as per usual....love it!